When shopping for winter whites make sure to look for heftier pieces and steer clear of flimsy, sheer fabrics. That being said, clever styling can help you bring your summer whites into cooler months. Use layering and mixed textures to give your lighter pieces weight. And don’t be afraid to mix in shades of off-white and cream. 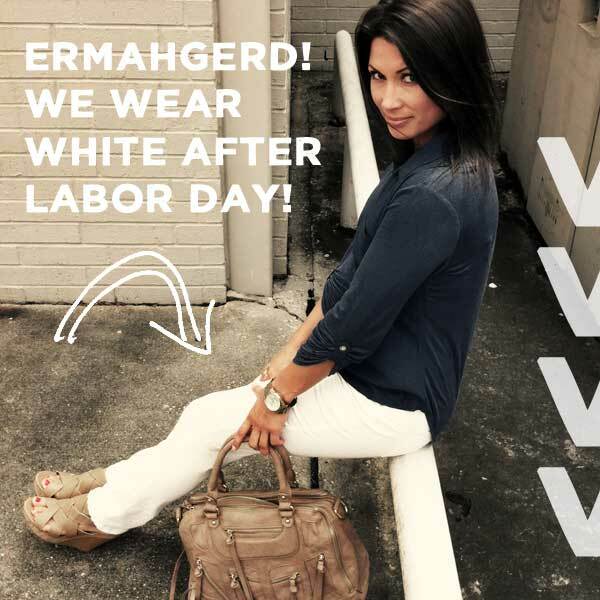 Don’t be afraid to wear white… You can do it and Polish can help you!